Ben Henderson went into Anaheim just to get a win, but came out one step closer to his dream of becoming the UFC World Champion. 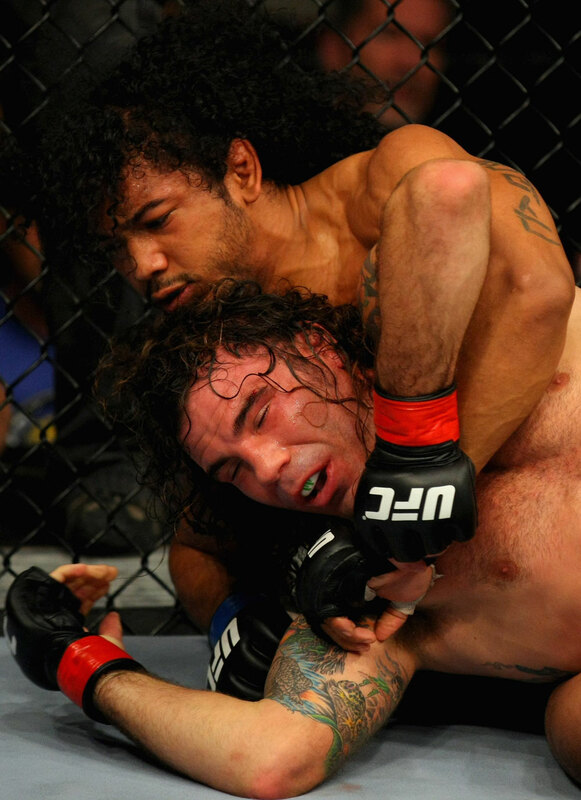 Ben dominated an always competitive Clay Guida and won a unanimous decision, ending Guida’s four fight win streak. The reward? A chance to dethrone Frankie Edgar for the lightweight championship of the world. We are so proud of Ben and his uncompromising pursuit of his dream and so proud of the community which has been created at our gym. We are all ready for this next step and we will be ready for Frankie Edgar, you can believe that. This entry was posted on Sunday, November 13th, 2011 at 11:37 pm	and posted in News. You can follow any responses to this entry through the RSS 2.0 feed.